You must sign into your myHangout account in order to contact Mr Sean. Mr Sean has 9 friends. View entire friends list. I'm from County Fermanagh in the North of Ireland, but moved to Nelson, New Zealand 10 years ago. 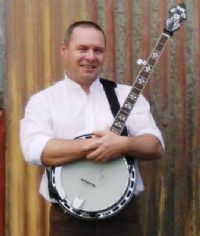 I've been singing songs and playing the guitar since my teens but decided to try the 5 string banjo a few years ago. I love to play Scruggs style. I also have a mandolin which I enjoy playing traditional Irish music on. I work on the development of the Tasman Great Taste Cycle Trail; married; no kids; one cat; a few guitars & mandolins and a motorcycle.